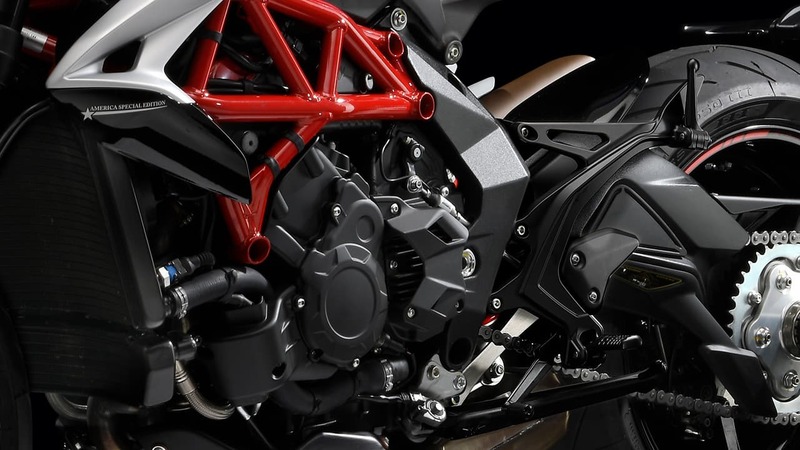 The special version was developed from the Brutale 800 RR. The inline three-cylinder engine has been completely updated for better performance and ease of use: new gearbox, primary gears, electronic engine management and traction control algorithms. The engine is characterised by extremely compact dimensions and features MotoGP-derived technology with a counter-rotating crankshaft. A tribute to the United States as well as to the history of the brand, the Brutale America sports the same graphics on the tank that appeared on the 1973 750 S. The front fender, with its MV Agusta logo and the radiator shrouds with the “America Special Edition” emblem both contribute to the allure of this version, as does the laser engraving on the top triple clamp. 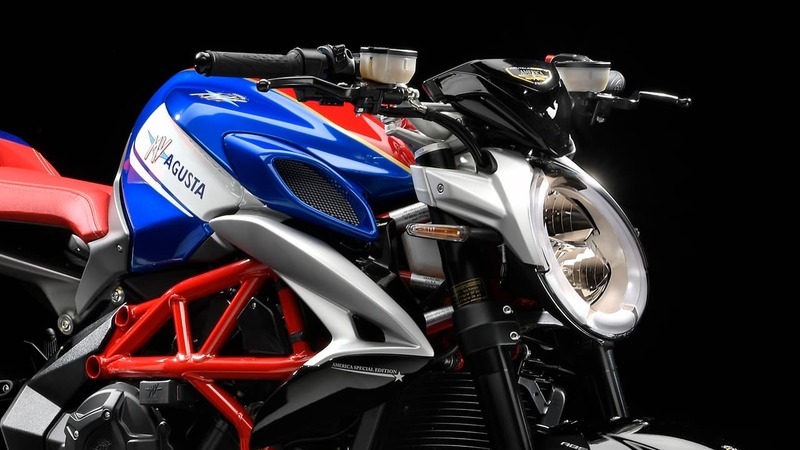 The special pearl blue, iridescent paint is the first distinctive element, but there are many more details that contribute to emphasize the volumes and the elegant proportions of the Brutale America. Oceans and mountains, cities and unconfined expanses: America means inspiration, magic. From dawn to dusk. History, speed, burning rubber, wind blowing in your face. Bike on its stand, in the sand, in front of the sea. 103 kW (140 hp) at 12.300 r.p.m. 110 hp at 11,500 rpm and a maximum torque of 83Nm at 7,600rpm (25% more than on the previous version) 90% of which is available starting from 3,800rpm: the best possible balance between ease-of-handling and performance. 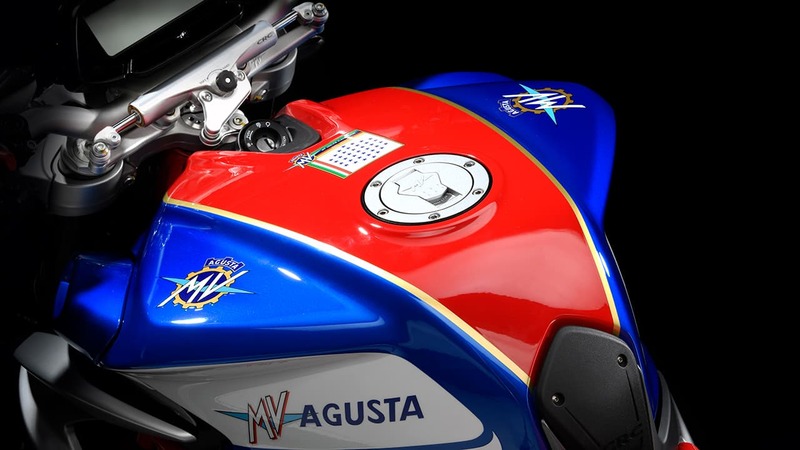 The MVICS electronic management system, developed to MV Agusta’s own specifications, includes the inertial platform and Ride by Wire throttle control. The 4 engine maps, three pre-set and one customisable, help the Brutale America make the most in all conditions. 8-level traction control allows maximum performance and safety whatever the conditions of the road. The latest generation, two-channel BOSCH 9 PLUS ABS is compact and extremely lightweight, two features that make it ideal for a sports naked. 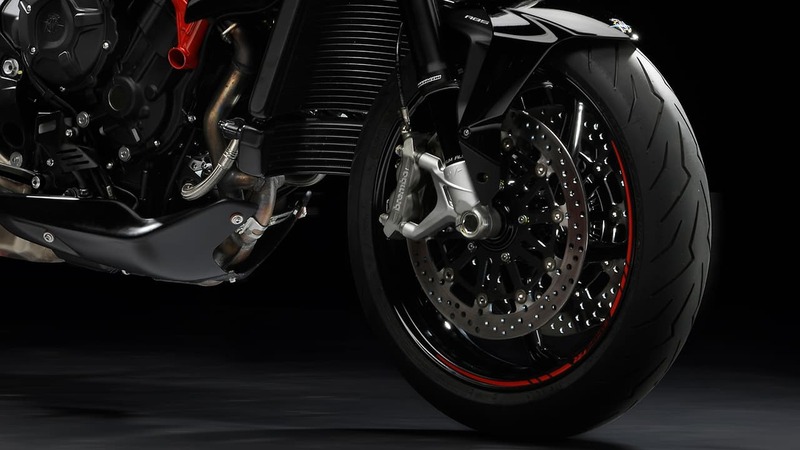 The RLM (Rear Wheel Lift-up Mitigation), regulates the action of the front brake in order to keep the rear wheel on the ground even under extreme braking conditions.